Sensory Marketing offers a global view of the use of senses in marketing strategy based on consumers' perception and behaviour. 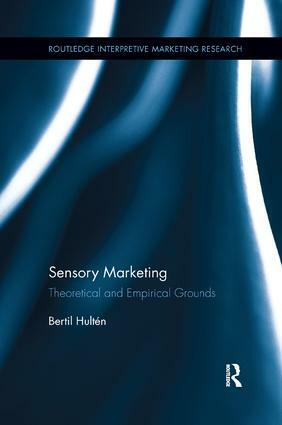 Integrating the company constraints and classical approaches of branding and communication, the author presents sensory marketing as an emergent marketing paradigm in theory and practice. This book will be an important contribution that will provide useful reading for marketing scholars and consumer psychologists across the world. Bertil Hultén is Professor of Marketing at Linnaeus University, Sweden.